Ulster County NY, encompassing High Falls, New Paltz, Hurley, Kingston, and a number of smaller towns, extends from the Hudson River to the foothills of the Catskill Mountains and is roughly the size of Rhode Island. 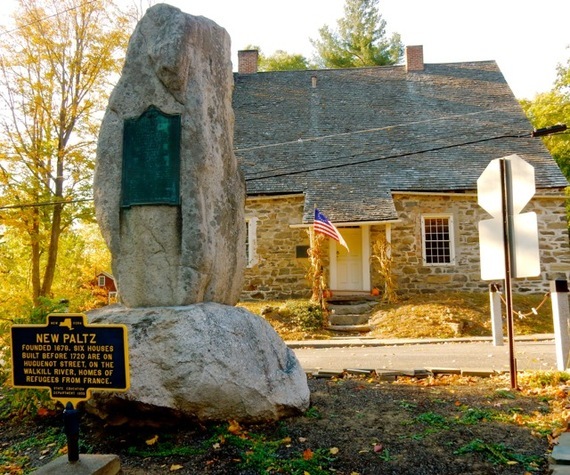 The Dutch settled here, the French Huguenots built stone homes when they first arrived in 1677, and an important PA to NY coal-transport canal brought bustling business to the area. 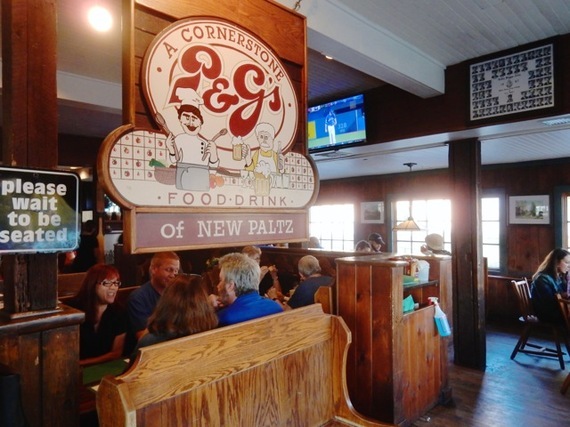 That bustling business is returning in the form of tourism; historic sights are seeing a growing interest in the American origin story, and local shop owners and restaurateurs are upping their game to accommodate these new visitors. The following 18 Fabulous Reasons to Visit Ulster County NY gives you a good start, but of course, for a county the size of a whole (albeit small) US state, there is so much more. 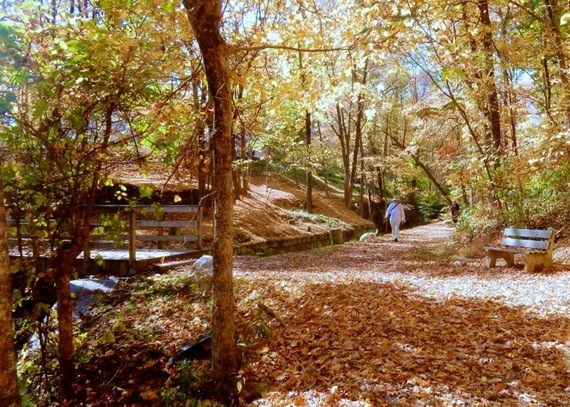 For more information on these and other Offbeat Escapes in the Northeast, consult the GetawayMavens.com. 1. 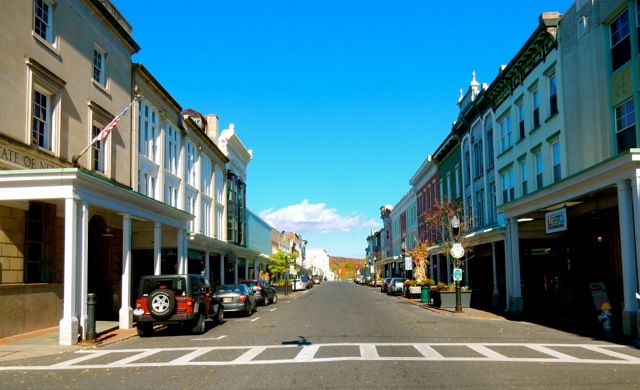 Discover how the French Huguenots found safe haven and prosperity in the New World on a tour of Historic Huguenot Street, New Paltz. In the 1600's, Protestant French Huguenots fled the religious persecution of King Louis XIII, first settling in German lands and then in the New World in 1677. Exchanging blankets, needles and tobacco pipes with the local Native Americans for 40,000 acres of land, twelve original founders, called "Patentees" built homes here. Astoundingly, several of these structures are left standing in various states of restoration. You'll step inside four of the 7 stone buildings on an enlightening 90-minute tour that takes you through 350 years of local history. 2. 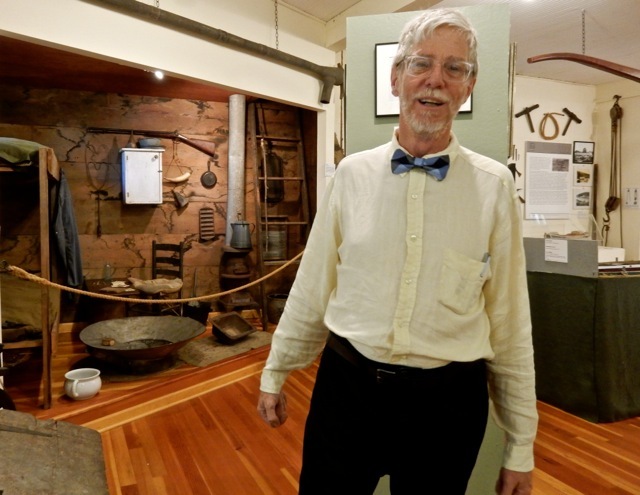 Learn what it was like for a seven year old orphan to drive the mules that pulled coal barges from Honesdale PA to Kingston NY on the 108-mile Delaware & Hudson Canal at the D&H Canal Museum in High Falls NY. It took over two million dollars, 10,000 workers, and many lives lost to blast through the wilderness in order to create 108 locks on the 30 ft wide Delaware and Hudson Canal that operated from 1828-1898. Life on the canal was often a family affair, with young children - many of them orphans - laboring with those sometimes unruly animals. In its heyday, the canal saw nearly a thousand barges, hauling everything from cordwood, gypsum, bluestone (to pave the sidewalks of New York City), glass and shoes. Little towns along the way bustled with business, until the canal was replaced by the railroad. 3. 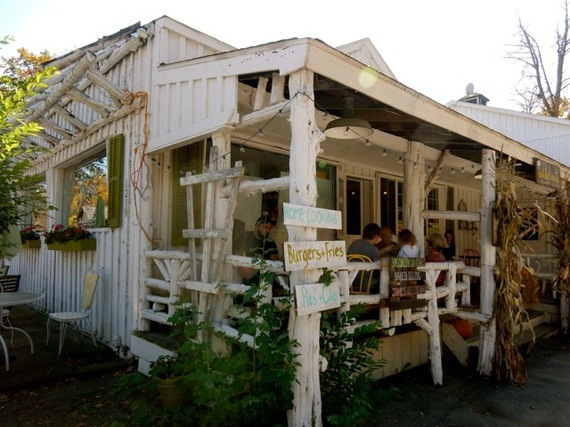 Get your pickles, biscuits, soups, meatloaf, Chicken and Waffle, Buttermilk Fried Chicken, AND vegan comforts, like Wilted Brussels Sprout & Kale Caesar Salad at High Falls Kitchenette - a Hudson Valley outpost of Manhattan's Kitchenette. 4. 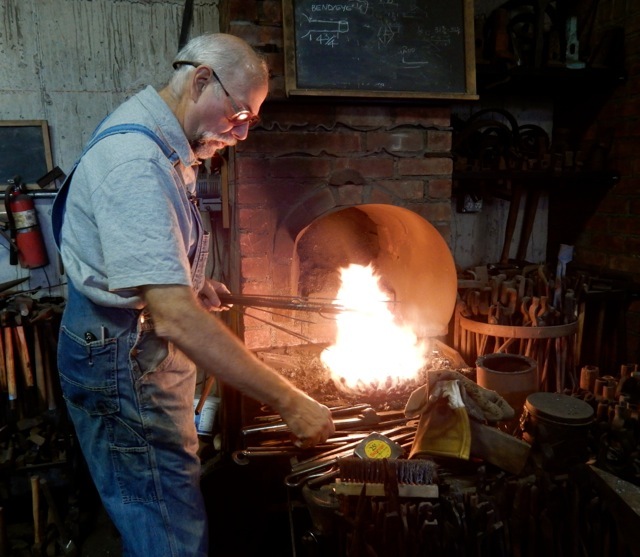 Watch historian-artisan-iron-forger, Jonathan Nedbor, clang and bang at his anvil at Canal Forge in Alligerville (outside of High Falls). Nedbor has been replicating Dutch door hinges and architectural elements for authentically preserved buildings, and creating furniture and fireplace implements through the forging, or as he says, "the shmooshing," of iron pieces. 5. 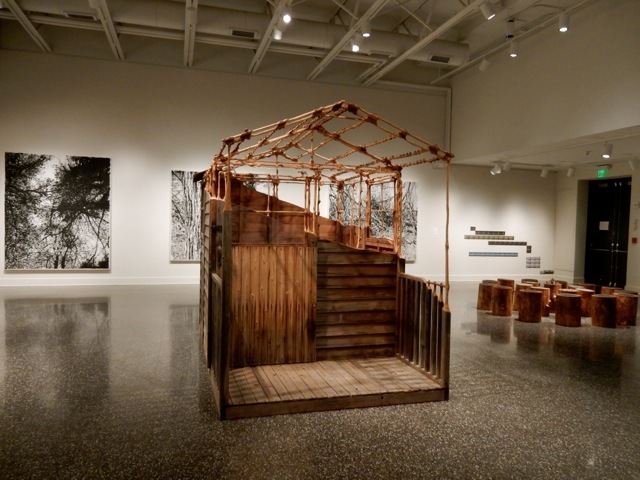 Discover a phenomenal artist you've never heard of at Samuel Dorsky Museum of Art at State University of New York New Paltz. Within 9,000 sq ft of soaring gallery space, The Dorsky focuses on lesser-known creatives or those who have fallen out of favor, with a mission to serve both the college campus and the artistic culture of the Hudson River Valley. 6. Lift a pint of a "properly poured" Guinness at Garvan's Gastropub in New Paltz, situated in a stone home built in 1759 - the year that Guinness started brewing beer in Ireland. 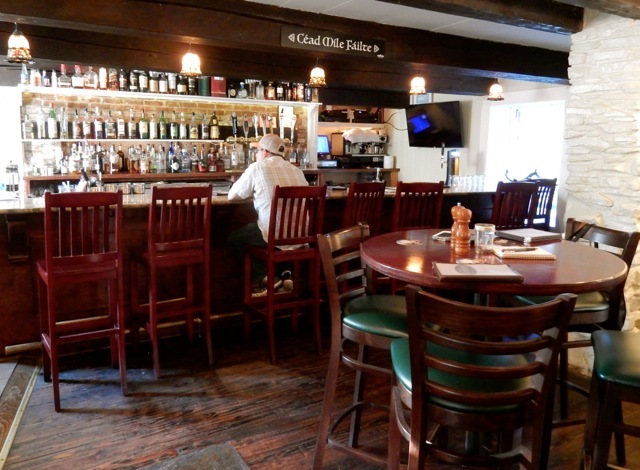 Opened in Feb. 2016, this lovely, friendly place is as close as you'll get to the Emerald Isle in Ulster County, with a from-Dublin Guinness Tower and Guinness Brown Bread served at every meal. 7. Grab a beer and burger at P&G's, "A Cornerstone of New Paltz" ever since Pat and George purchased the restaurant in 1947. It's not the fanciest place, but reasonably priced fare suits SUNY New Paltz students and their parents just fine. 8. Meander around one of the first fortified neighborhoods in pre-Independence America, the Kingston Stockade National Historic District, now stocked with shops and restaurants. In 1658 to protect his constituents from Esopus Tribe raids, Director-General of the "New Netherlands" colony, Peter Stuyvesant, demanded that all 60-70 residents who lived along the Hudson River move 1 ½ mile uphill to a defensible point. The settlers built a 14 ft. high fortification wall on this bluff, encompassing a church and homes. The walls are long gone, but the Stockade District is one of the oldest and most charming neighborhoods in America. 9. 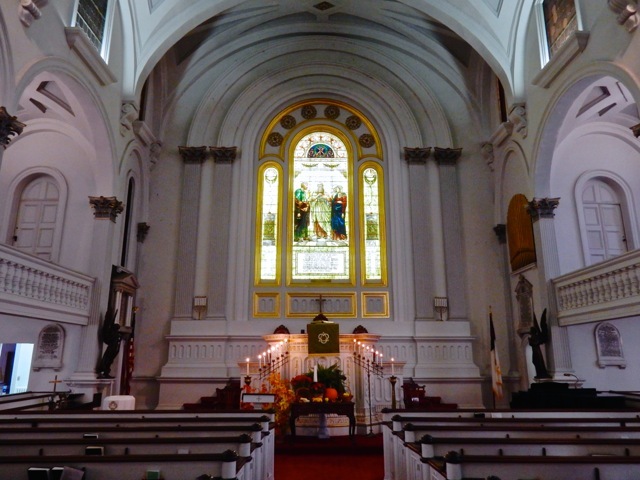 Drop in on a Thursdays from 12:15-12:45 in Fall and Spring to hear a magnificent 3-keyboard Moller Pipe Organ concert at the Old Dutch Church in Kingston NY. Or just drop in to see an original pulpit bible from the 1600's, 1700's hymnals and other pertinent religious artifacts from centuries ago. Established in 1659, this is the longest continuously operating Protestant Dutch Reform congregation still in operation in New York. 10. 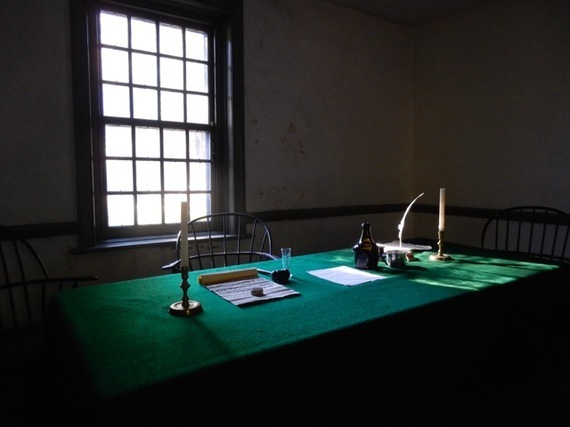 Tour the Senate House State Historic Site in Kingston, one of the oldest public houses in America, and the only original building affiliated with the formation of the New York State Government. 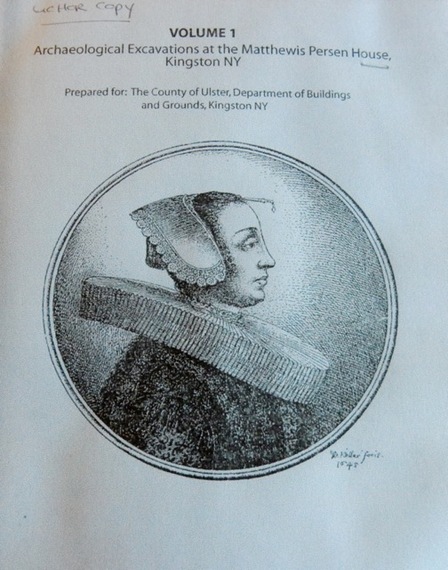 From April 1777 until Kingston was burned by the British in October 1777, the New York Senate met in the private home of Abraham Van Gaasbeek as a matter of security. 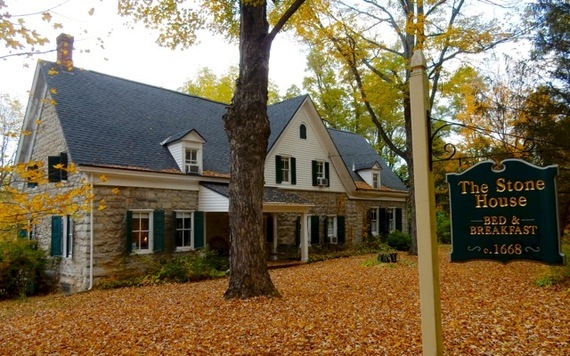 The Historic Site also maintains a small museum with the world's largest collection of John Vanderlyn paintings. Born and raised in Kingston, Vanderlyn (1775-1852) was the first American artist to study in Paris, sponsored by Alexander Hamilton's nemesis, Aaron Burr. 11. Take a gander at how Dutch settlers lived, worked and dressed in the late 1600's at the Persen House in Upper Kingston NY. Find out what fashionistas of the day were wearing (hint: stomachers and bodkins), why barbers also served as surgeons, and about housing regulations, while taking a free tour through rooms built in phases from 1663 to the late 1700's. Though named after its longest resident, the first owner of the Matthewis Persen House, barber/surgeon Gysbert Van Imbroch, died in 1665 leaving a complete inventory of his home. This inventory is the basis for a new permanent exhibit upstairs - posters that tell the story of day-to-day life in the 1600's here. Among clothing and home goods, Van Imbroch's holdings included yoke for oxen, ice skates, a child's coat "made by the savages," and the largest book collection in the New World. 12. 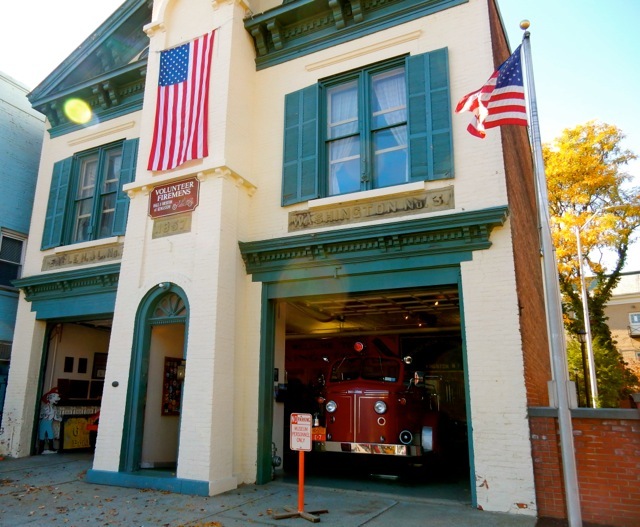 Explore the life of a firefighter, pre-computers, at the Volunteer Firemen's Hall and Museum of Kingston. How did those guys know where to send the fire trucks? Through an ingenious call-box system that you can witness in action, among other displays, at this small but engaging museum. 13. 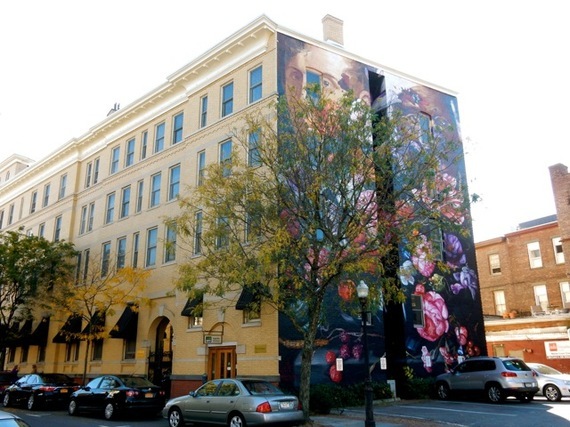 Regard the many stunning murals that grace buildings in Upper Kingston; gifts of O+ (referencing the blood type) - an arts organization that exchanges the "medicine of art for the art of medicine." In other words, beauty for medical care. 14. Wolf down one of the best Reuben Sandwiches ever at the Hoffman House in Upper Kingston. Pat and Ginny Bradley purchased the 1679 stone home in the auspicious year of 1976, restored it using original floorboards, mantles and door paneling, and opened it as a restaurant in 1977. 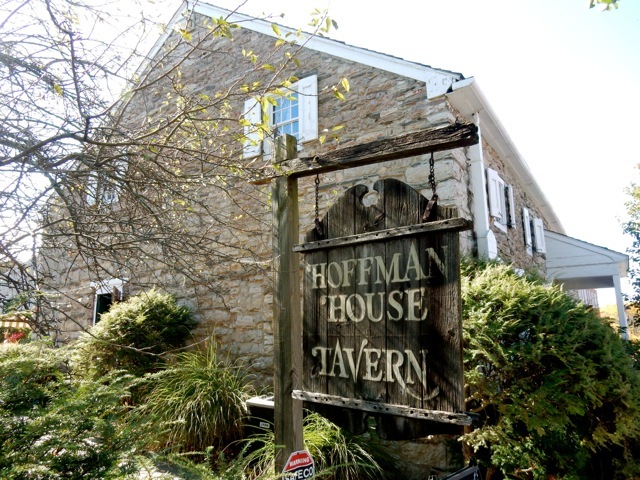 On the National Historic Register, The Hoffman House is one of the highlights of the Stockade District so it's no surprise that it's a popular hangout for city movers and shakers. 15. After touring historic stone houses and driving by many others, stay in one - the 1705 Stone House Bed & Breakfast, on a rural road in Hurley just 5 miles from Upper Kingston. The warm and welcoming Sam and Nadia Scoggins run this historic, old fashioned luxury inn with five distinctive rooms containing a trove of antiques, updated cloudlike beds, and fast wi-fi (but no TV's). In the morning over a gourmet breakfast, engage in another old-fashioned activity: face-to-face conversations with other travelers from all over the world. 16. Sing along with the crew on the tall-ship Hudson River Sloop Clearwater on a public sail from its berth at the Hudson River Museum in Kingston. Founded by Pete Seeger in his effort to bring attention to the polluted Hudson River in the 1970's, The Clearwater has educated countless school groups and visitors on thousands of environmental cruises and is still going strong. 17. 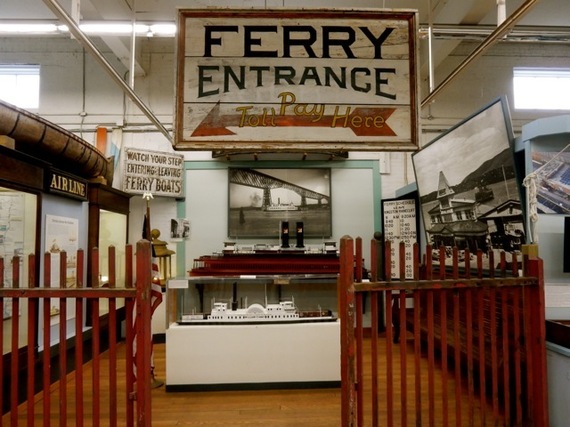 Get nostalgic while perusing an exhibit about The Hudson River Day Line at the Hudson River Maritime Museum in Kingston. The Day Line ran from 1860-1971 out of Manhattan, transporting millions of tourists, for just a few dollars, up the Hudson in relative luxury. But that's not all you'll find at this small but info-packed museum offering easy to digest nautical snippets of the Hudson River in general and Kingston - in the 1800's called Rondout - in particular. 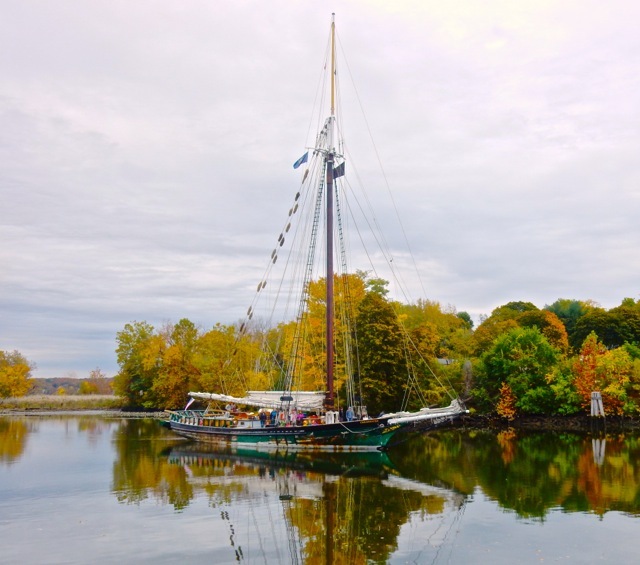 You'll want to spend at least 30 minutes (or more) at this gem, with displays on all aspects of maritime Hudson from Rowing Teams to Ice Yachts (the fastest vehicle on earth) to Ferries, Tugboats, and of course Henry Hudson himself. 18. 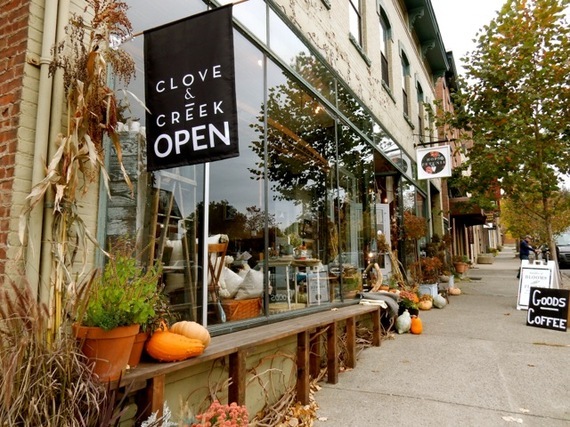 Pick up a hostess or housewarming gift at one of the cool new shops near the Kingston waterfront. Purchase a leather strap 6-pack holder that balances ingeniously over the center bike bar (and/or order a custom hand-tooled leather bike seat) from J. Teske Leather, find a bauble or dress at Next Boutique, discover a new favorite vintage at Kingston Wine Co. to share with friends, get one of a kind hand-crafted house wares at Clove & Creek or a bouquet of your favorite blooms at Hops Petunia Florals.